The debate over whether gray wolves in the Northern Rockies and Western Great Lakes should be listed as endangered has been a hot topic for decades. 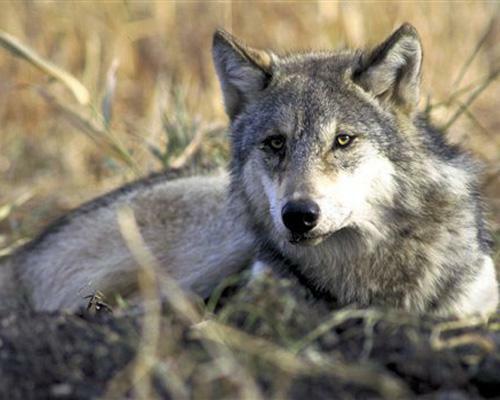 In 1974, the wolves were named endangered, and reintroduction efforts began in 1995. Populations rebounded; however, they still make up just 2 percent of their former population. But in 2009, livestock deaths caused the wolves to be removed from the endangered species list in five states, which resulted in legal battles with conservation groups. In 2010, a federal judge overturned this decision and relisted the wolves in two states. Since this time, state legislatures, federal courts and environmentalists have engaged in heated legal battles over the status of gray wolves. In March 2011, conservationists and the Fish and Wildlife Service agreed to delist the species in Idaho and Montana, but a federal judge rejected the plan, ruling that all wolves are part of a single population. However, in April the gray wolf became the first animal ever taken off the U.S. endangered species list by an act of Congress, rather than by scientific review, when a measure was attached to a budget deal. I just wish people would realise that these animals were there before us. Did anyone ask their permission to build around them, put up farms and houses and then destroy them because their habitats are destroyed and they have no where else to hunt? We need to do a better job of taking care of all animals. It is sad that they were removed from the endangered species list by Congress (instead of a scientific review) as part of a budget bill! Can you believe that people are doing this as a contest? Thank you for sharing the links, Sonel. I have signed several petitions but will make sure I’ve signed these. I hope that everyone who sees this will sign and share! I just read something that said “Just because you can’t do everything don’t let it stop you from doing something”. If we all do “something”, “everything” might get done!